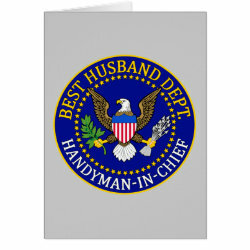 This funny Best Husband Department seal will make a great gift for your hubby's birthday, as a Christmas present, Father's Day or any other day in More... between. 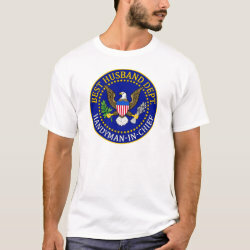 It's a funny design that looks like an official US government seal -- complete with a regal Bald Eagle in the center. 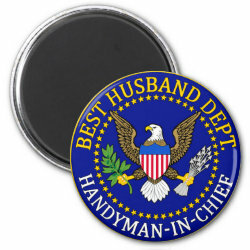 The bottom reads Handyman-in-Chief.